Georgia’s industrial sector has thrived in the post-recession era, adding a total of 32,000 jobs since May of 2010. During this period, the state’s transportation equipment sector grew by 36%, rising to become the state’s third-largest sector by number of industrial jobs. Numerous manufacturers have flocked to Georgia over the past eight years, drawn by a number of site selection factors. This article will take a look at some of the major developments that have occurred in Georgia since the recession, including new company announcements. We’ll examine the state’s outlook in light of new federal and state policies and explore IndustryNet’s extensive regional and historical data for the state. Georgia manufacturers added 5,050 industrial jobs between May 2017 and May 2018, a gain of one percent, led by a 4% increase in transportation equipment employment. Transportation equipment accounts for 49,267 industrial workers in Georgia, according to MNI. 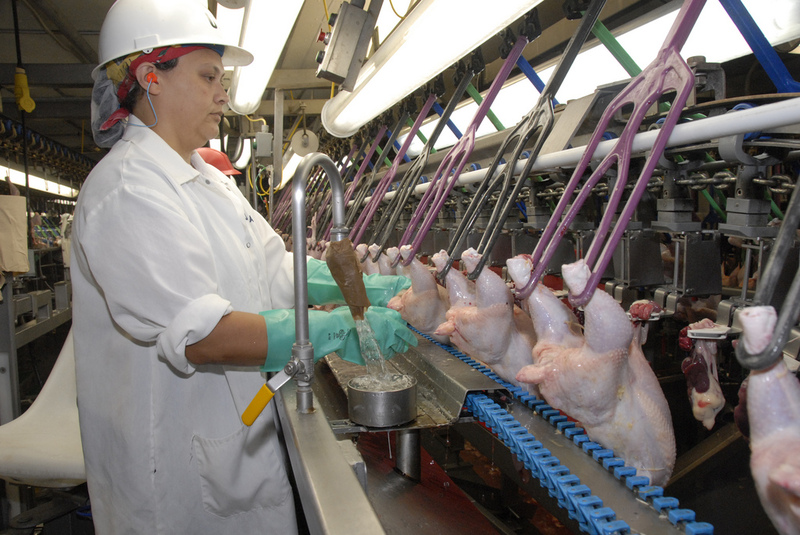 Food processing, the state’s top sector by number of jobs, also posted a gain, up 1.5% over the year. 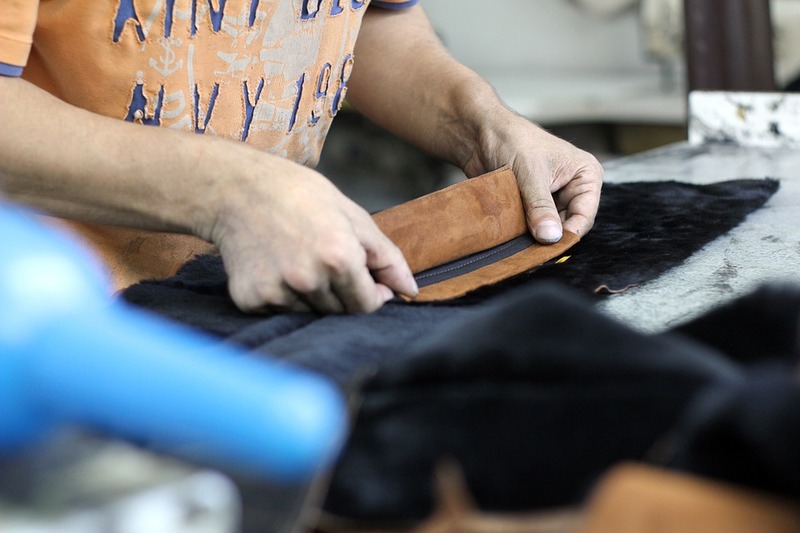 Employment in second-ranked textiles/apparel remained flat. Additional gains were reported in stone/clay/glass; instruments/related products; lumber/wood; fabricated metals; and rubber/plastics. Industries losing jobs included paper products; primary metals; and textiles/apparel. MNI’s city data shows Atlanta added 4% to its manufacturing workforce. Gains were also reported in Alpharetta and Marietta, among others. A number of new manufacturing plant announcements were made in Georgia over the year, which bodes well for the state’s future. Purina announced plans to break ground on its first manufacturing plant in 20 years in Hartwell, while gun manufacturer Taurus USA unveiled plans to establish a new facility in Bainbridge. Switzerland-based flooring manufacturer Gezolan established its first U.S. facility in Buford and South Korean company Hanwa Q Cells announced its plan to set up a solar module assembly plant in Whitefield County. In addition, British American Rubber Company has nearly completed its new compounding facility in Tallapoosa. According to recent rankings compiled by CNBC, Georgia ranks as the nation’s 7th top state for business, down several notches from its second-place ranking reported in 2017. The Peach State ranks high for its large labor force, solid infrastructure, access to capital, and robust economy. The state boasts highly competitive business incentives, and an abundance of shovel-ready sites. With a wide array of tax credits, many manufacturers, both large and small, pay little to no corporate income taxes. In addition to credits typically found in most states, such as the Job Tax Credit, R&D tax credit, and Work Opportunity Tax Credit, the state also offers some unusual credits such as the Mega Project Tax Credit; the Quality Jobs Tax Credit; and Port Tax Credit Bonus. Georgia is home to a large workforce, and its right-to-work status has helped keep labor costs low. However, the state was given a “C-” for education by CNBC, ranking it 29th in the nation for the education level of its workforce – a crucial issue for high-tech manufacturers. The state’s education rank has improved since 2017, however, when it ranked 33rd in the U.S. Georgia is not alone in its struggle to fill highly-skilled positions. Many states across the nation are facing the same shortage of skilled labor or “skills gap”. A recent survey by the Institute of Supply Management shows many U.S. manufacturers are finding it tough to find skilled workers, and those with a highly educated workforce have a considerable competitive edge. A number of workforce development programs have been implemented in the state to help address the education gap, including Georgia Quick Start, which partners with the Technical College System of Georgia to provide workforce training for highly specialized fields from food processing to biomanufacturing. 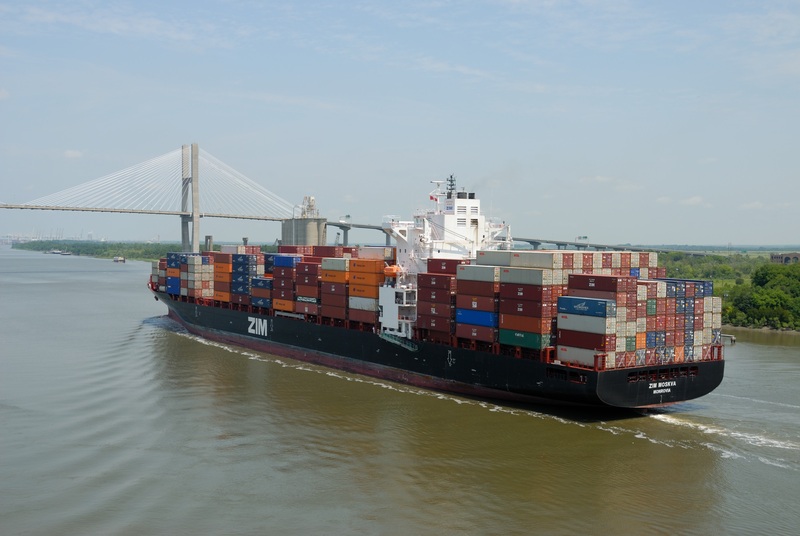 Ongoing trade tension remains a growing concern for Georgia manufacturers, especially for those companies that rely on imported steel and aluminum, as well as exporters of items vulnerable to retaliatory tariffs. There are currently 155,798 Georgia workers employed by companies that rely on imported steel and aluminum, according to a study by MarketWatch. Georgia’s auto industry, which generally led the state’s post-recession growth, is especially vulnerable, as raw material costs continue to rise in response to the tariffs. On the other hand, 2,946 Georgia workers are directly employed in steel and aluminum production, according to the same study. These numbers are likely to increase as more companies begin to rethink their supply chain and employ domestic sources for raw materials. In conclusion, Georgia’s low labor costs, solid infrastructure, and abundant incentive programs, have helped the state’s manufacturers thrive, spurring solid growth for the past eight years. Although multiple signs point to growth in the years ahead, challenges remain for the industrial companies that rely on imported steel and aluminum. Next, we’ll take a look at the rise of Georgia’s industrial sector in the years following the recession, based on developments tracked by IndustryNet. Georgia’s manufacturing sector was one of the hardest-hit states during the recession. 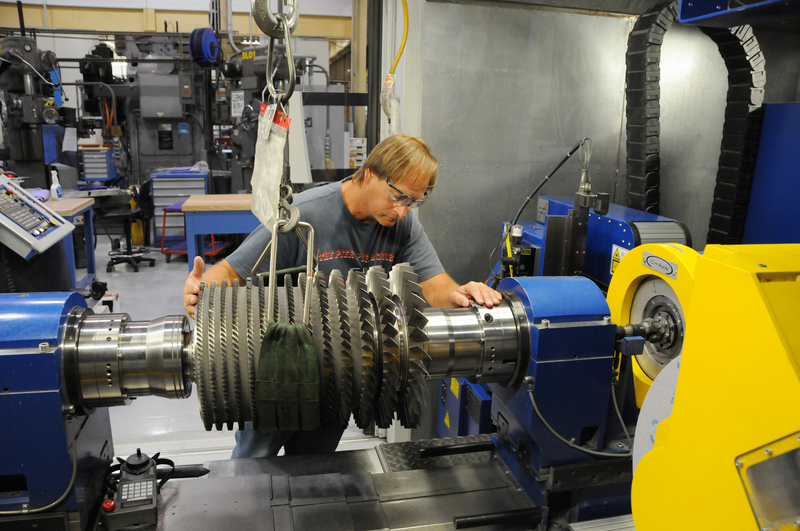 A decade ago, the state was home to 11,408 manufacturers employing 541,116. Those numbers declined precipitously during the recession, and by May of 2010, the state’s industrial workforce shrank to 464,744 jobs. Employment in the state’s textile/apparel sector, at the time the state’s top industry by number of jobs, plunged 24% during this time period. Georgia, however, was one of the first states to emerge from the recession. In May 2011, IndustryNet reported its first gain for the state. Georgia added just 447 jobs between 2010 and 2011 – a welcome change after losing 21,000 jobs in the year prior. The bump in employment was partially helped by the auto bailout, which fueled Kia’s expansion of its newly-opened plant on the Georgia/Alabama border, as well as the opening of automotive supplier Hanil E-Hwa Co.
Job gains that year were led by the transportation equipment sector, which rose by 6%. Additional gains were seen in primary metals and furniture/fixtures. Employment in food processing, the state’s top sector by number of jobs, remained steady, while continued losses were suffered in textiles/apparel, then Georgia’s second-largest sector by number of jobs. Several manufacturers announced plans to open in the state that year, including photobioreactor company Algae.Tec, which planned a new facility in Atlanta; wood pallet maker Georgia Biomass; and Sany America, which unveiled plans for an assembly plant in Peachtree. Finnish-based FP-Pigments’ announced plans to open a new facility in Rome, while EFACEC, a Portuguese manufacturer of power substations, opened a new plant in Effingham. In addition, Glock announced plans to expand its Smyrna plant. 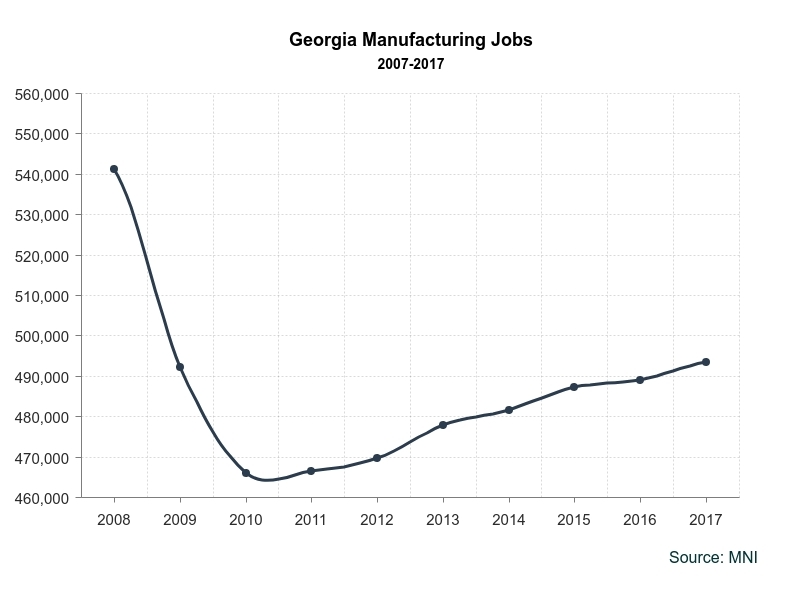 Georgia’s manufacturing job gains accelerated in this year, with the state adding a little over 2,600 jobs. The state’s auto manufacturing sector continued to gain ground, as automakers flocked to the state, lured by lower labor costs and abundant incentives. Employment in transportation equipment shot up another 4%, while supporting industries such as rubber/plastics and primary metals, also posted gains. In this year, Toyota announced it would establish a new plant in Pendergrass, and Great Dane Trailer broke ground on its facility in Statesboro. 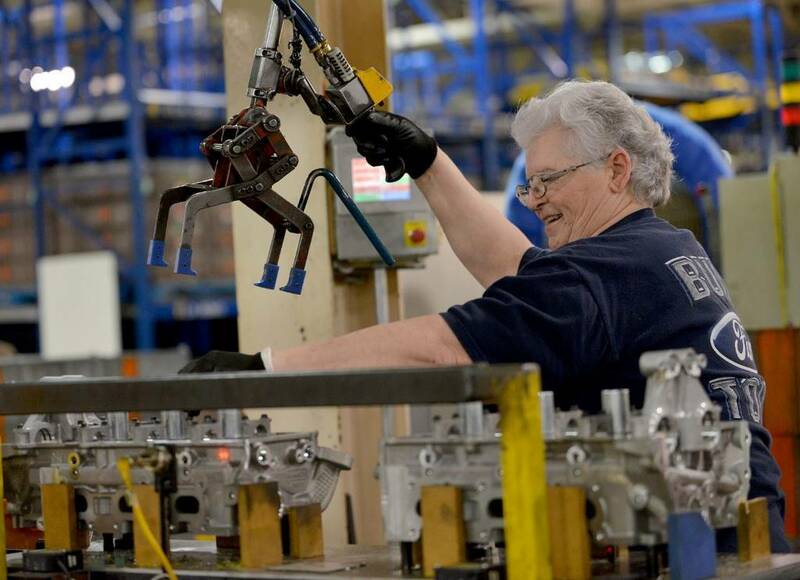 Kia Motors expanded its West Point facility; Caterpillar unveiled plans to establish a new tractor and excavator plant near Athens; and Tenneco Inc. announced an expansion of its Hartwell factory. 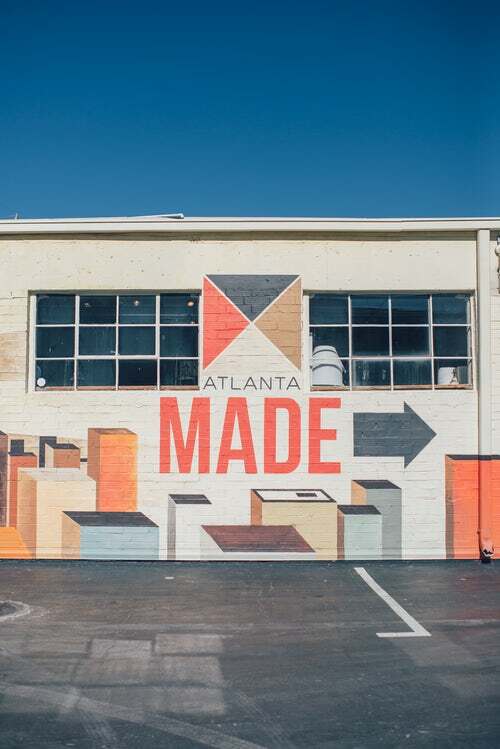 Manufacturing jobs surged in Atlanta, up 5%; and Dalton industrial jobs rose 1.8%. Industrial job growth more than doubled in this year, as Georgia manufacturers added another 7,769 jobs, a 1.6% gain. The transportation equipment industry grew by 6% in this year as Kia Motors continued to expand its West Point facility and Hitachi expanded operations at its Monroe location. In addition, Inalfa Roof Systems announced plans to open a vehicle roofing production plant in Cherokee County; auto parts supplier Decostar Industries unveiled plans to expand its facility in Carrollton; Kubota opened a trailer production factory in Jefferson; and ZF Industries established a new auto parts facility in Gainesville. Job gains were seen across a spectrum of other industries, including food processing; medical instruments/related products; primary metals; and printing/publishing. Textiles/apparel was one of the few sectors to post a decrease in this year. Atlanta industrial jobs increased for a second straight year, up 2%, and Norcross and Alpharetta also posted significant gains. Georgia industrial employment continued to grow in this year, but at a slower pace. The state added 3,833 industrial jobs, or about 1%. Once again transportation equipment led gains, adding 3.3% to its workforce over the year. Bright spots for the industry included Trinity Industries’ plans to open a railcar manufacturing plant in Cartersville; the expansion of Kia supplier Hanil E Hwa in LaGrange; the establishment of Mando America Corp.’s auto parts factory in Hogansville; the opening of a Pratt & Whitney jet engine facility in Columbus; and the expansion of Gulf Stream Aerospace in Savannah. Other industries adding jobs included paper products; industrial machinery; electronics; and fabricated metals. These gains were offset, however by sharp declines in primary metals; stone/clay/glass; furniture/fixtures; and textiles/apparel. Atlanta broke its winning streak, with jobs down 2.6% in this year, while jobs in Savannah surged 8.5%. In its fifth straight year of gains, Georgia added 5,550 jobs, or about 1.1%. Jobs in transportation equipment climbed 6.2%, overtaking industrial machinery as the state’s third-largest sector by number of industrial jobs. Bright spots for the state included German auto components maker Häring’s plans to open a plant in Hartwell; as well as the opening of Marine Products Corp.’s new jetboat facility in Nashville. GEIGER Automotive announced plans of its new factory in Suwanee. In this year, most of Georgia’s industrial sectors reported gains in employment, with growth strongest in food processing; primary metals; rubber/plastics; lumber/wood and furniture/fixtures. For the first time in several years, employment in textiles/apparel remained steady. Over the year, we saw the opening of Wells Lighting in Millen; the expansion of American Textile Co.’s facility in Tifton; the establishment of SV Pittie Textiles’ cotton yarn plant in Sylvania; and the expansion of Tyson Foods’ Vienna poultry operation. Georgia added jobs at a slower pace in this year, with employment up by 2,188 jobs. Transportation equipment climbed 2.3%; while furniture/fixtures; chemicals; primary metals and fabricated metals all posted robust gains. Several major Georgia plant openings were announced over the year, including Tokyo-based Toppan Printing, which broke ground on a barrier film manufacturing facility in Griffin; Kumho Tire U.S.A., which unveiled its new facility in Macon; Trident Seafood, which opened a seafood-processing plant in Carrollton; and Israel-based Haifa, which established a fertilizer plant in Savannah. Georgia added 4,373 industrial jobs in this year, led by transportation equipment, which added 2.3% to its workforce. Gains were also seen in fabricated metals; chemicals; industrial machinery and electronics. A number of new plant openings were announced in Georgia over the year, including Irving Consumer Products, which broke ground on a $400 million tissue plant in Macon. Constellium NV opened an automotive aluminum plant in White; ScotBilt Homes established a facility in Millen; while Vanguard National Trailer opened a van trailer plant in Trenton. Georgia’s 8,875 industrial companies employ 497,207 workers. Georgia’s top companies by number of manufacturing jobs are representative of the state’s diverse industrial sector, producing everything from textiles and aeronautics to paper products and automobiles. IndustryNet® lists every U.S. manufacturer plus thousands of wholesalers & distributors and industrial service providers, and allows users to search and source more than ten thousand types of products, parts, supplies, and services for free.. To connect with industrial suppliers in Georgia and across the U.S. start your free search on IndustryNet. Or, to access detailed profiles of Georgia’s 9,200 manufacturers and their 30,000 executives, learn more about MNI’s IndustrySelect database subscription. 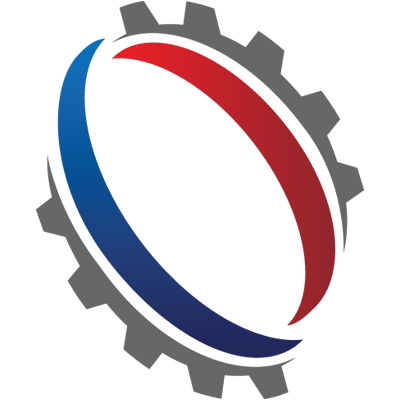 Related Companies: American Textile Co., Inc., Caterpillar, Inc., Coca-Cola Co., The, Constellium Automotive USA, LLC, Decostar Industries, FP-Pigments, Inc., Georgia Biomass, LLC, Georgia-Pacific, LLC, Glock, Inc., Great Dane, LLC, Gulfstream Aerospace Corp., Hitachi Automotive Systems Americas, Inc., Kia Motors Mfg. Georgia, Inc., Kubota Mfg.Of America Corp., Kumho Tire U. S. A., Inc., Lockheed Martin Aeronautics Co., Mando America Corp., Marine Products Corp., Mohawk Industries, Inc., Pratt & Whitney, Columbus Engine Center & Columbus Forge, SANY America, Inc., ScotBilt Homes, Inc., Tenneco, Inc., Toppan Interamerica, Inc., Tyson Foods, Inc., Vanguard National Trailer Corp.